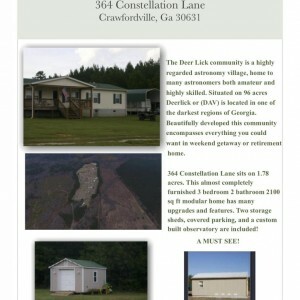 364 Constellation Lane sits on 1.78 acres. 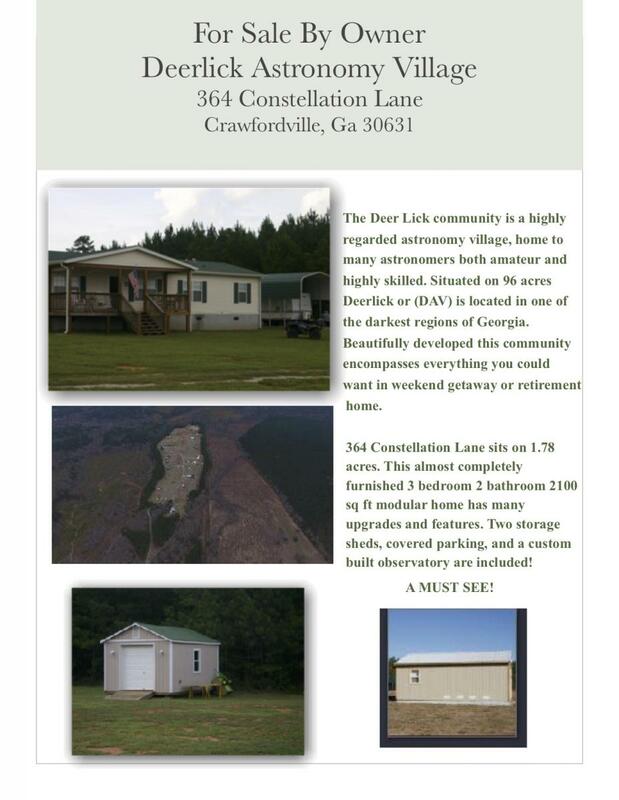 This almost completely furnished 3 bedrooms 2 bathrooms 2100 sq ft modular home has many upgrades and features. 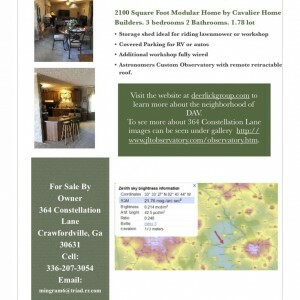 Two storage sheds, covered parking, and a custom built observatory are included. • Astronomers Custom Observatory with remote retractable roof. learn more about the neighborhood of DAV. 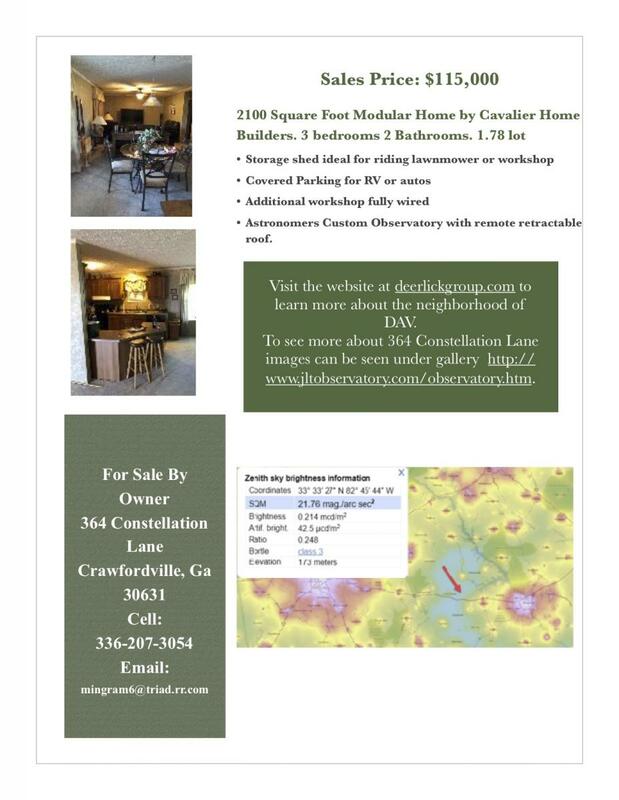 To see more about 364 Constellation Lane images can be seen under gallery http:// www.jltobservatory.com/observatory.htm.